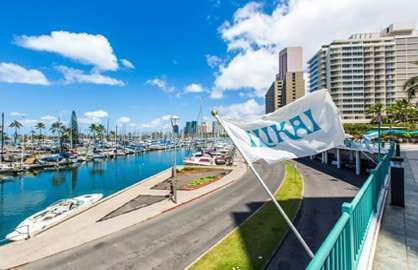 This ocean marina side condo is on the most desirable view side with great marina, ocean, sunset views from your 120sf lanai. 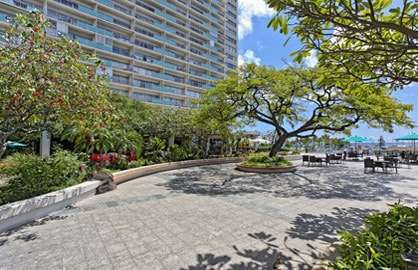 The 550sf unit with a large 120sf lanai overlooking the ocean and marina has a full kitchen with fridge, oven, stove, dishwasher, microwave, rice cooker and all the cooking items necessary to prepare your meals. 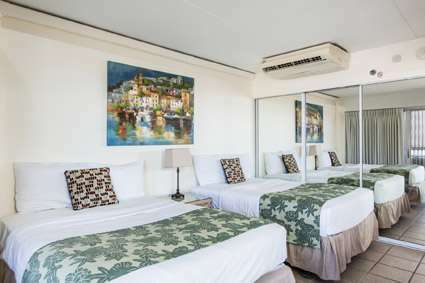 The living area has a queen size sofa with a new memory foam mattress, large 40" flat screen cable TV, whisper quiet split AC system and all the comforts of home. 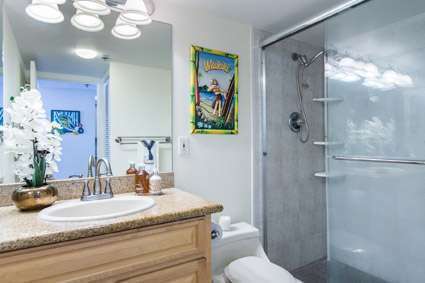 The unit has a two new full beds, full closets and full bathroom with walk in shower. 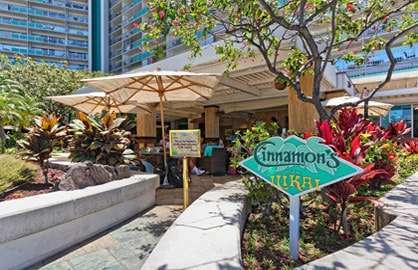 Ilikai 1131 - Have often stayed at the Ilikai because we like its location. 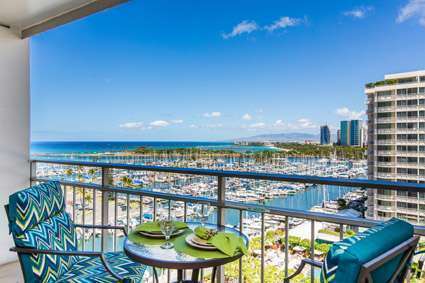 We specifically chose a unit in this stack, overlooking the marina, because it doesn't get the blazing sun as we don?t like to use air conditioning but we can enjoy beautiful sunsets. 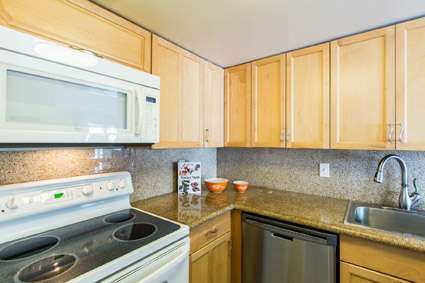 The condo is updated and very clean with a well equipped kitchen (even a rice cooker). 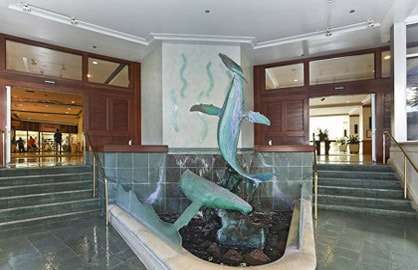 This is the first year we realized they have a lovely wading pool on the 2nd floor. 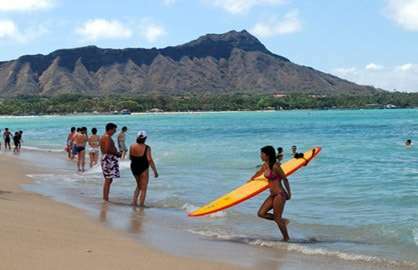 If you don?t feel the need to do laps, this is a great alternative. 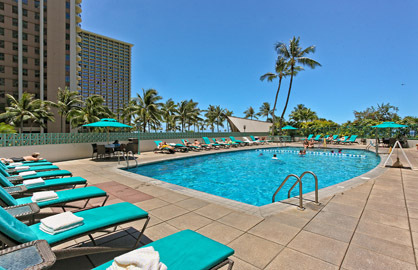 Lovely lounges in the pool to stay cool and lots of umbrellas if you need shade. 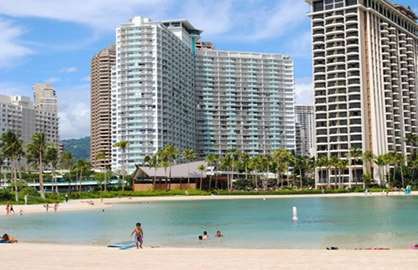 Ilikai 1131 - This is a really great unit, feel like home. 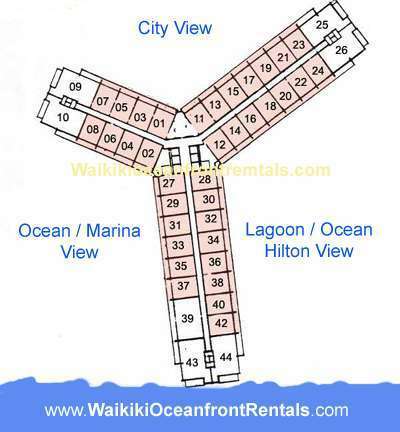 Great views of ocean and harbor with very conformable furniture. Unit is very clean and thank you for these people who taking care of this unit. My family had excellent experiences while staying in the unit. We will definitely come back and stay in the same unit again. 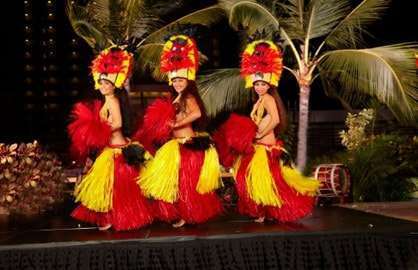 Ilikai 1131 - We had a great time, third time at the Ilikai, looking forward to returning next year. 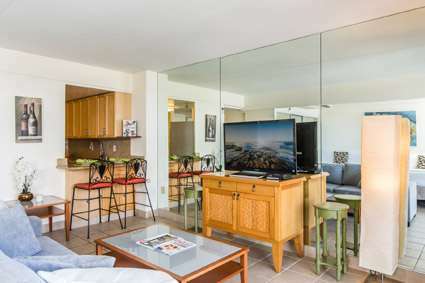 Ilikai 1131 - We had a great stay in this condo. The apartment was just as pictured on the website, and everything was very comfortable and relaxing The kitchen was well equipped, the crockery was mismatching but it didn't matter. 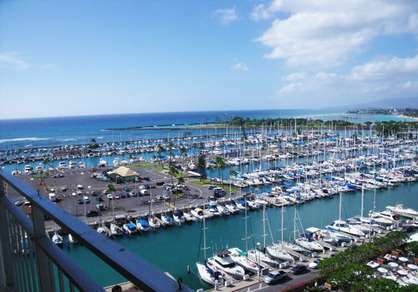 The views from the balcony were fantastic, loved looking out over the marina and beyond watching the action. 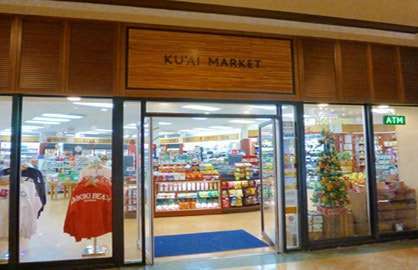 The location of the Ilikai is very handy, only 10 minutes walk to the Ala Moana Mall where all the fantastic shops are located. 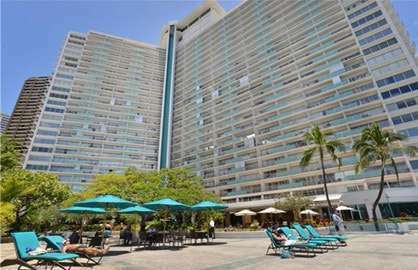 I would totally recommend staying here, everyone was so friendly from the other guests we talked to in the lift to the pool attendant. A great experience. 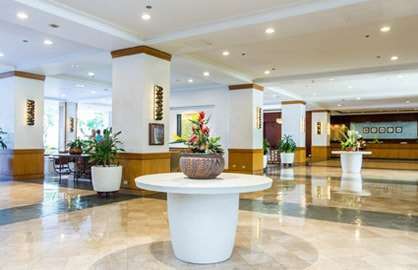 Ilikai 1131 - I was in Room 1131 which was fantastic. The room had everything you need but the special part was the sunsets from this room, they were magnificent. 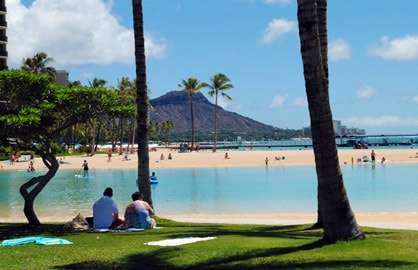 If you want to see tropical fish, walk out down to the beach past the lagoon and swim 50 metres out to the reef where you will see plenty of sea life, I even swam with a turtle. 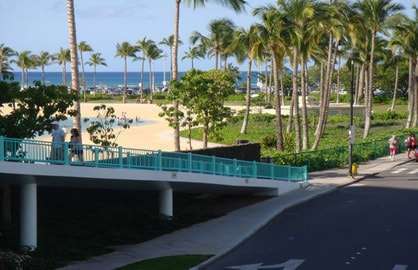 The bus stops directly outside and you can go anywhere on the island for $2.50. Cinnamon was a good bar with friendly staff. 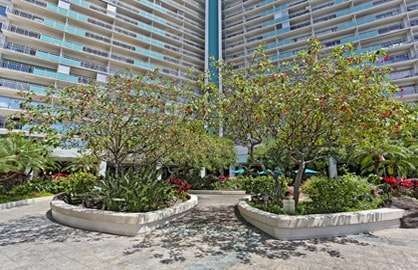 This was a great condo that made our stay in Waikiki enjoyable. 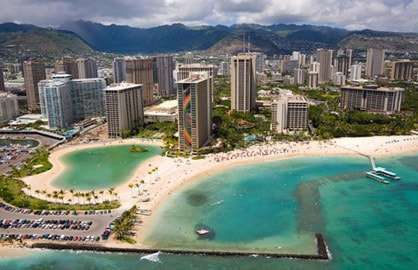 The condo is located at the edge of Waikiki so it was not really busy around our room but all the major attractions were within walking distance. Condo came with a full kitchen that already had plenty of kitchenware which made it easy to go to the grocery store and buy some food for meals. Best part of the condo was the view from the balcony which overlooked the harbor and you were able to see the sunset each night. 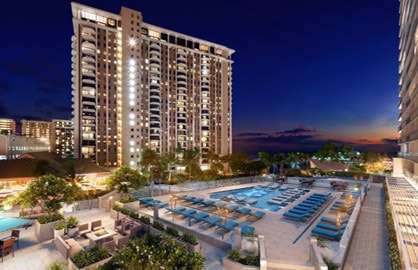 I would highly recommend this condo!! 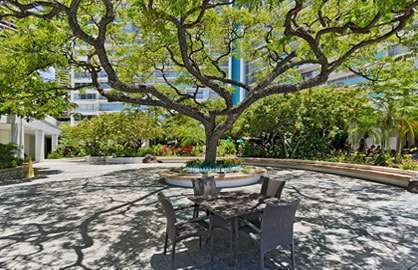 Stayed here for two weeks in July (Unit 1131) and was very happy with the condo. It had a great view of the marina and the most gorgeous sunsets. 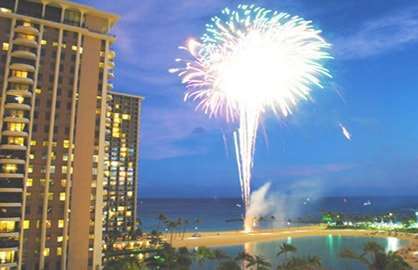 Can see the surfers from the balcony, and enjoy the Friday night fireworks from the downstairs patio. 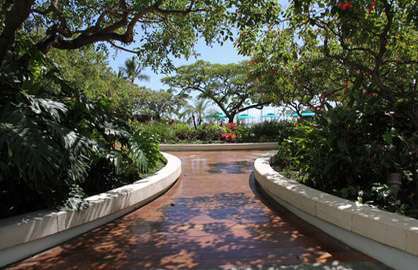 Just steps away from the beach, walking distance to the Ala Moana Shopping Centre. Bus and trolley stop right outside the entrance. We would definitely stay here again.